Please select a date of play to check availability on Santo Estevao. Santo Estavao is an 18 hole golf course located to the east of Lisbon in the fertile rolling lands of the northern Ribatejo. The course is situated in an estate of some 72 hectares. 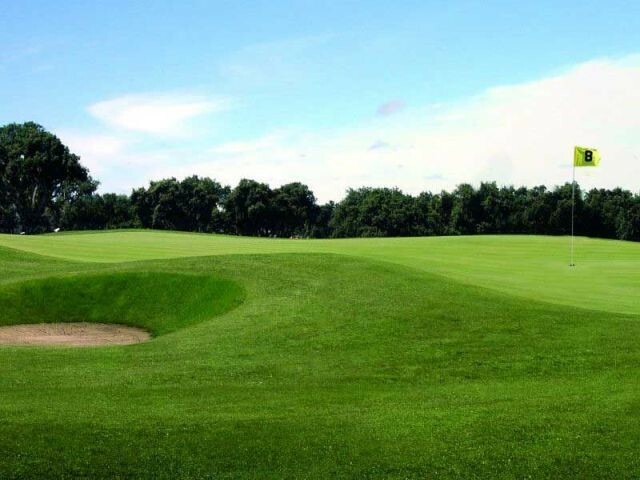 The architect has created wide fairways which run through an open wooded countryside. The first hole of 282 metres is a Par 4 that quietly introduces the player to the course. By the eighth hole, a 496 metre Par 5, the golfer will find that the style of the game has been changed by the introduction of more skill and greens that ask for more skill in the putting. The eleventh hole of 421 metres and a Par 4 is possibly the most attractive hole on the Santo Estavao course but also quite challenging to score low. To post a review, score or a notice on Santo Estevao page's or to connect with other Santo Estevao golfers, please log in to your account or sign up using Google or Facebook.